After every growing season, you may want to upgrade your garden by upgrading your flowerbeds. Here are some ways to upgrade your flowerbeds quickly and on budget. Surrounding your flowerbeds with gravel can be visually appealing giving them a very classy and elegant look. Gravel is relatively inexpensive so you can use it on all of your flowerbeds and stay on budget. Other than surrounding your flowerbeds with gravel you should consider bordering your flowerbeds with bricks and stones. They provide your with a beautiful and unique edge for that professional look. Plant some beautiful flowers in these pots and then use them as a border between your garden and your flowerbeds. This unique pop of colour will definitely make your garden look amazing with the much needed flowerbed upgrade. Glue some decorative stones to the pots and border them along your flowerbeds to create a unique and colourful edge. You can place these decorative pots horizontally or even stack them vertically with the correct support. This perennial flower has its origins in Asia but, it definitely counts as the perennial flower favourites in Toronto. Its bright colour and fragrance will put you in awe. You can add these to your garden’s flowerbeds but, make sure to provide support to it otherwise, it will grow flat. These beautiful perennials are perfect for growing in your garden flowerbeds in Toronto because, they can even survive in the tundra. The best part about Cranesbill or Geranium is that they can survive bugs, pests and insects as well because, none of these have the power to affect them. Rosa Rugosa or Sea Spray Roses are very easy to grow and maintain since, they can survive variety of different soils. They need a lot of room to grow because, these perennials have the power to spread like fire and they also require a lot of sun to fully establish. 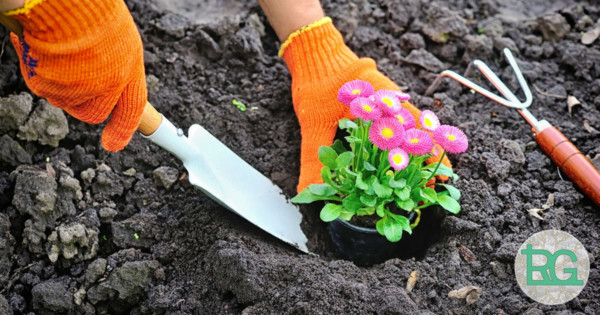 If you are looking for gardening services in Toronto, then Rainbow Gardening is your best bet. We provide years of experience and professional gardening services to fit every budget.